Four Seasons Hotpot City is a new hotpot buffet concept by the Vikings Group, the same group that brought us Vikings Luxury Buffet and NiU by Vikings. 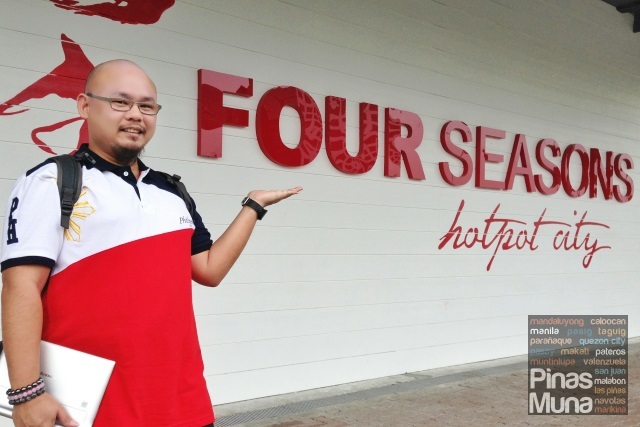 They opened their first branch last February at SM by the Bay, SM MOA Complex in Pasay City, and due to its success, Four Seasons Hotpot City is set to open a second branch in Araneta Center in Cubao, Quezon City. 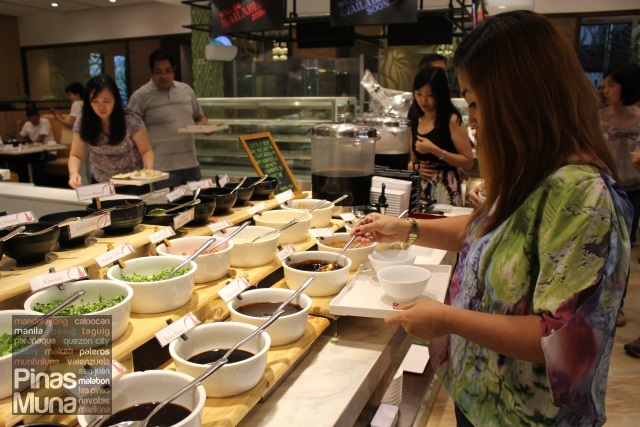 We first visited Four Seasons Hotpot City back in March after a weekend staycation at Pan Pacific Manila. From the hotel, we took a taxi and told the driver to bring us to SM MOA. 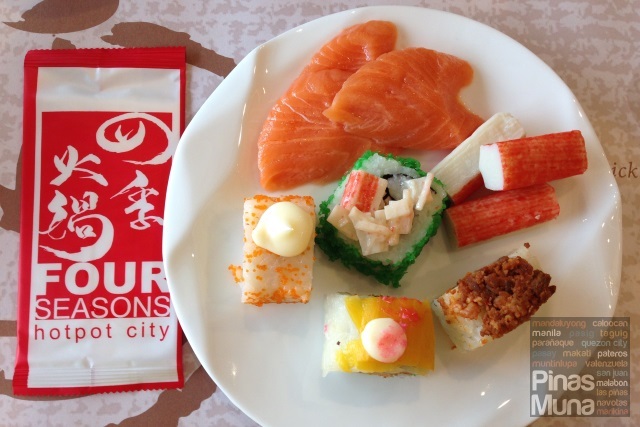 Four Seasons was not difficult to locate since it just located near the SM MOA branch of Vikings Luxury Buffet. 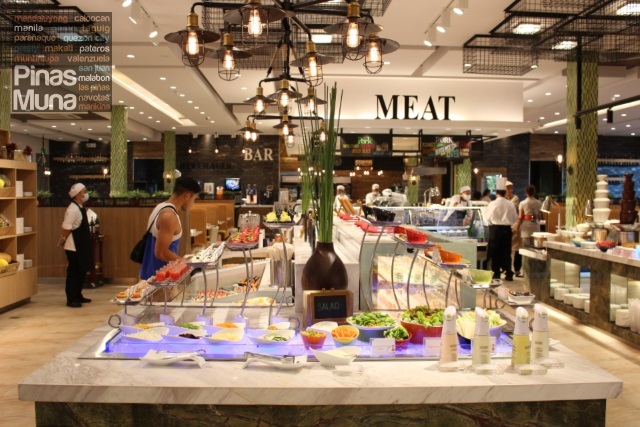 Just like in any Vikings Luxury Buffet branch, Four Seasons Hotpot City has a very spacious interior with the layout of the tables and chairs carefully designed so that the space feels expansive and airy. 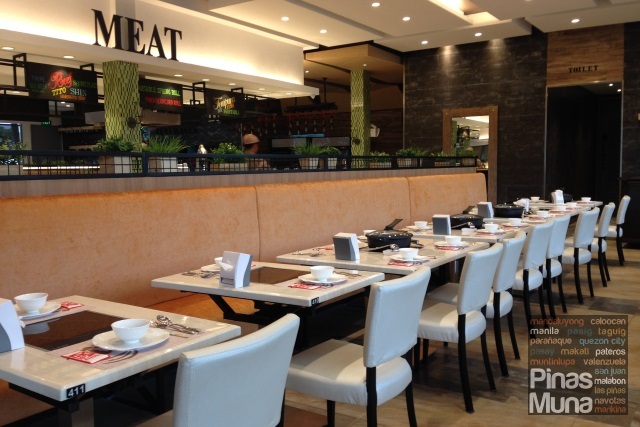 It also has a fresh and contemporary character, a stark contrast to the traditional, often boring interiors of Chinese-style hotpot restaurants. Sections are also made for customers who would want a more intimate dining setting. 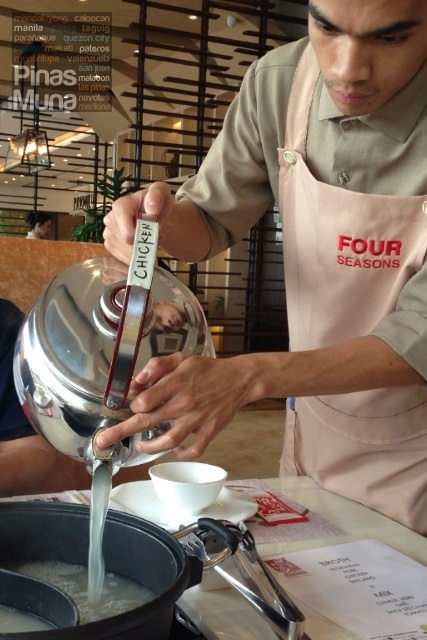 Furthermore, Four Seasons Hotpot City also has five function rooms that can accommodate up to 10 persons. 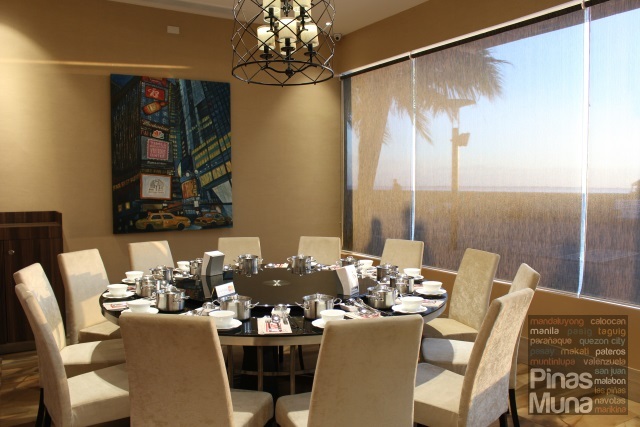 The best part is that the use of the function room is free of charge and is on a first-come-first-served basis, with a minimum of ten dining guests. So how was the experience? Well, to start with, Edgar and I are not big fans of hotpot. 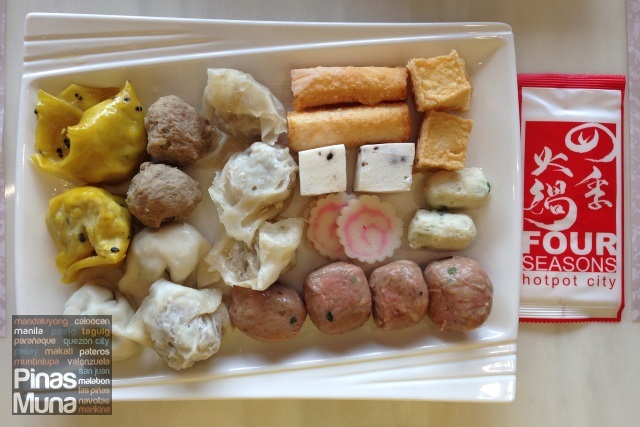 We do get to dine at hotpot restaurants during family occasions or parties. 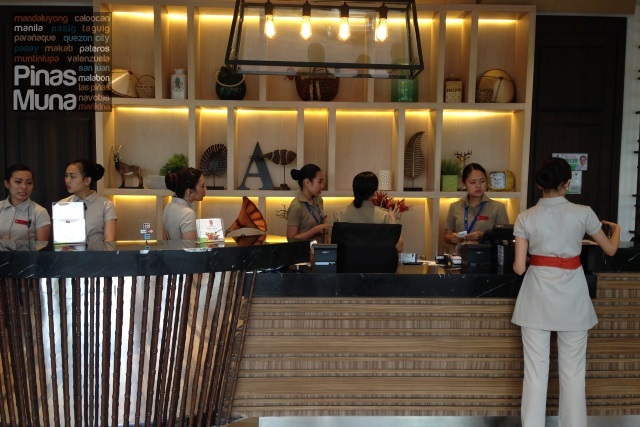 Some of our friends tried Four Seasons last February and we got curious by their very positive feedback. So come March, we decided to give it a try. After being seated, a restaurant attendant immediate approached out table and showed us the variety of soup base or broth for our hotpot. 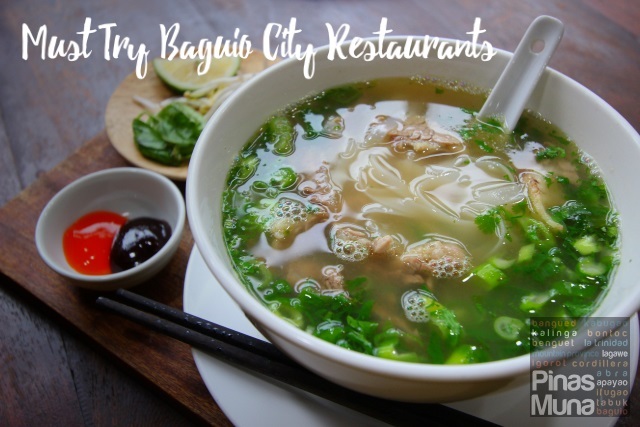 Choices include chicken broth, pork broth, vegetable broth and sinigang broth. 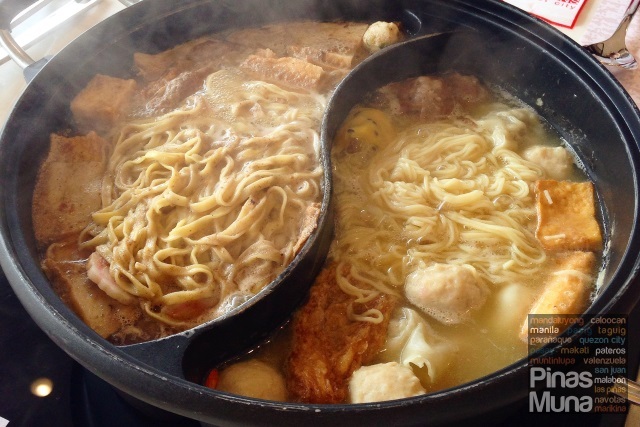 The yin yang dual sided hotpot allowed us to choose upto two soup bases. I had the pork broth while Edgar had the chicken broth. We were then asked if we want condiments added to our soup base. Edgar had sibut (Chinese herbs) added to his chicken broth while I had sate added to my pork broth. While our broth is heating up to a boil, Edgar and I went our separate ways to choose for ingredients which we will add to our hotpot. Edgar is allergic to seafood so his tray contained mainly pork, chicken and tofu based ingredients. I, on the other hand, picked a good mix of pork, chicken, tofu and fish cakes. 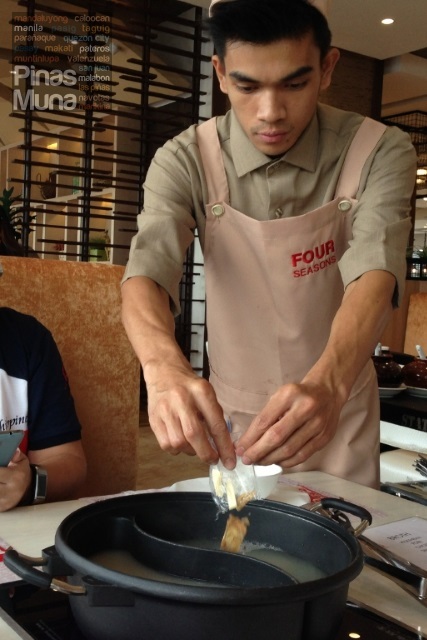 We then dumped the ingredients one by one into the already boiling hotpot, mixing from time to time to make sure everything is evenly cooked. Just after a few minutes of boiling, our soup was ready and we turned off the induction cooker so not to overcook the ingredients. Alternately, we munched on the steaming hot dumplings, tofu and fishcakes and sipped on the warm soup and noodles, followed by an ahhhhhhhhh as the fruits of our cooking labor radiates the heat through our tummy and into our body. Good thing the restaurant was well air-conditioned. Our first round of hotpot was already filling, but we did not get that suya or MSG-high feeling. 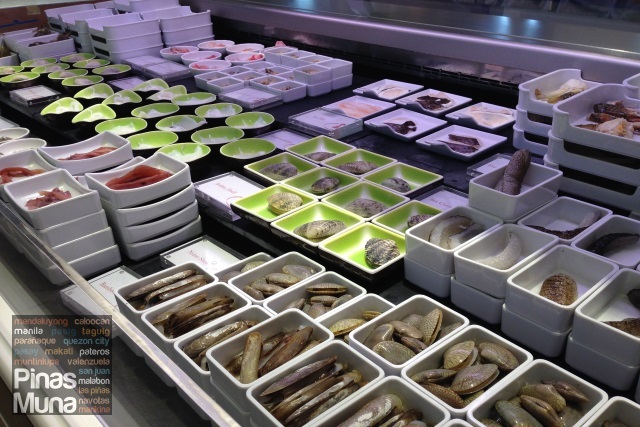 It reminded us that it was the MSG-high which made us avoid hotpot restaurants in the past. 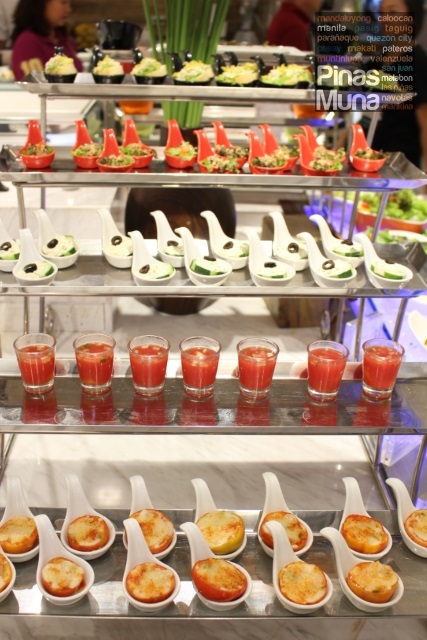 But it was not the case at Four Seasons Hotpot City. 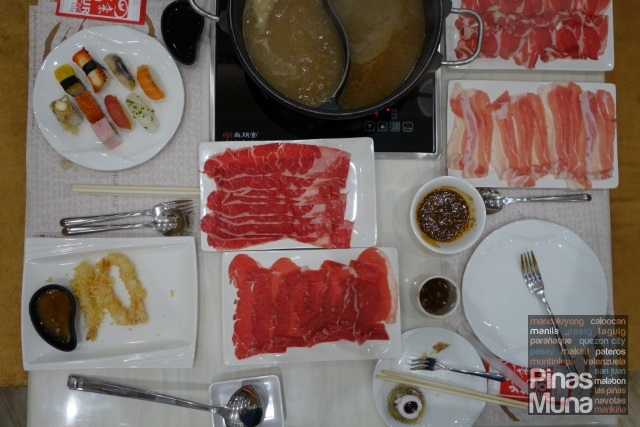 It was actually the first time we enjoyed dining at a hotpot restaurant. Edgar had a second round of hotpot while I gave in to the temptation of their Japanese section. 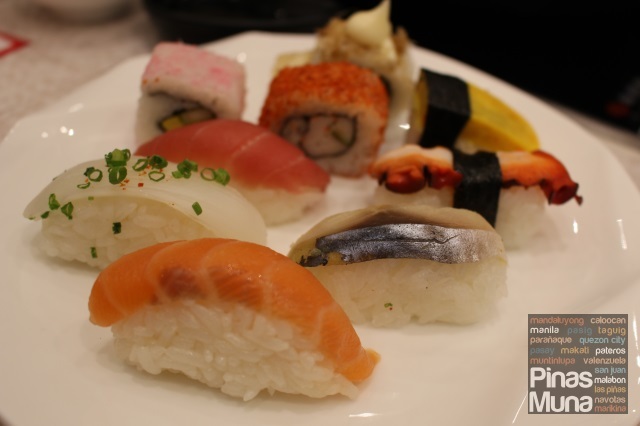 I had a nice serving of salmon sashimi and a variety of sushi and maki. 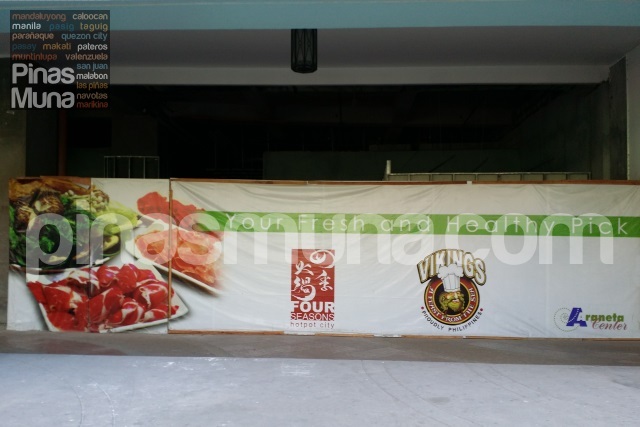 This is the point where we felt that we were indeed in a buffet restaurant owned by the Vikings Group. And it did not end there... 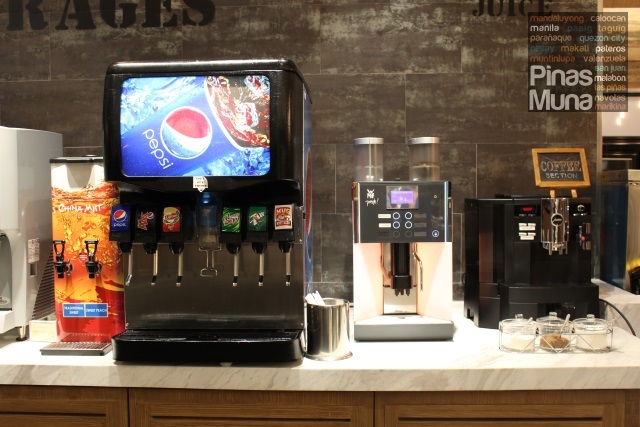 Beverages are also unlimited. 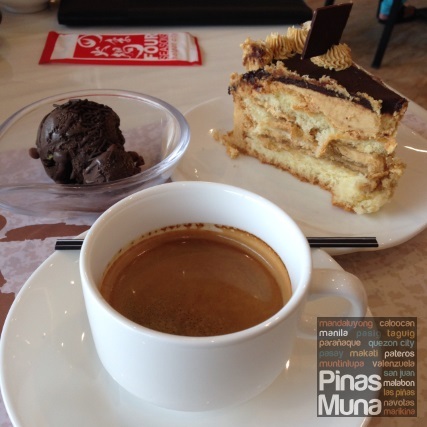 Edgar had soda and gulaman while I went for coffee matched with dark chocolate icecream and toffee cake for dessert. 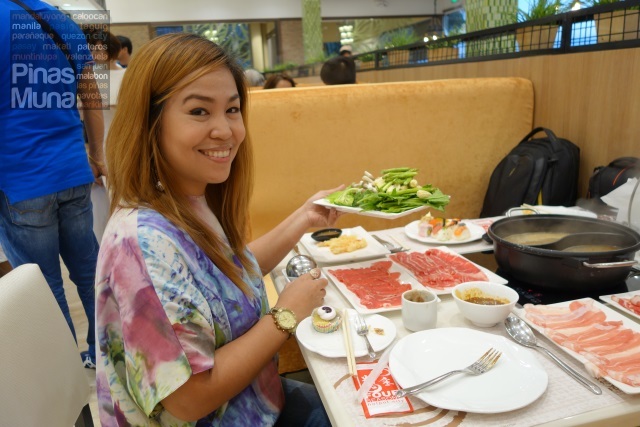 A month after our first visit, we received an invitation from Ms. Raquel of Vikings Group to dine again at Four Seasons Hotpot City. Reminded by the great dining experience we had at the restaurant, we said yes to the invitation. We rarely travel all the way to SM MOA just to eat, due to its distance from our place and the horrendous traffic that we need to endure to get there. 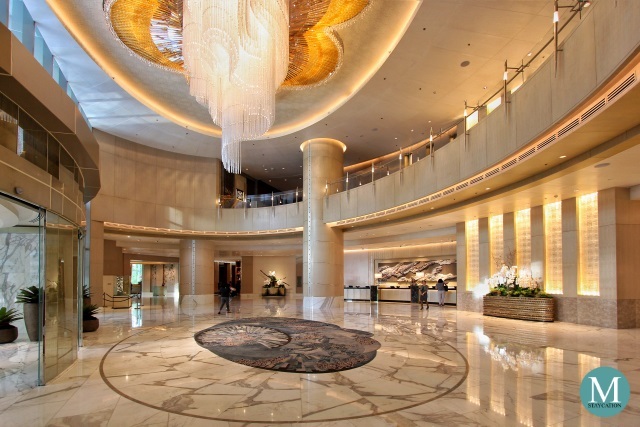 But all of that is negligible if we were to experience Four Seasons Hotpot City once again. On our second visit, Ms. Raquel had us try some of the premium meat available that day. 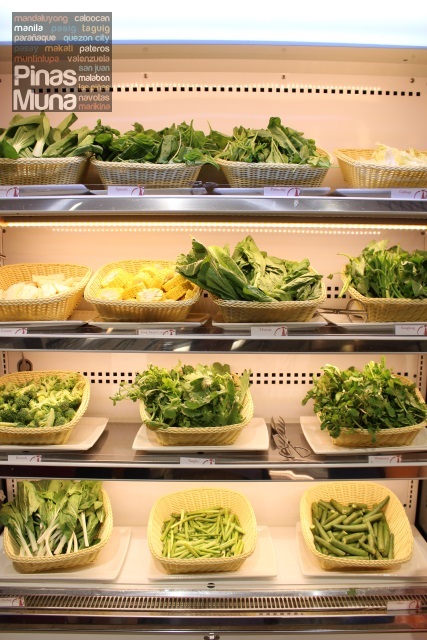 We also tried some of the fresh veggies which according to Ms. Raquel are of the highest quality delivered fresh daily from Baguio. Highlight of our second visit was the special sauce which Ms. Raquel personally prepared for us. It was some sort of an oyster & peanut sauce with a well balanced sweetness, saltiness and spiciness. We will definitely ask her for the ingredients for our next visit to Four Seasons. 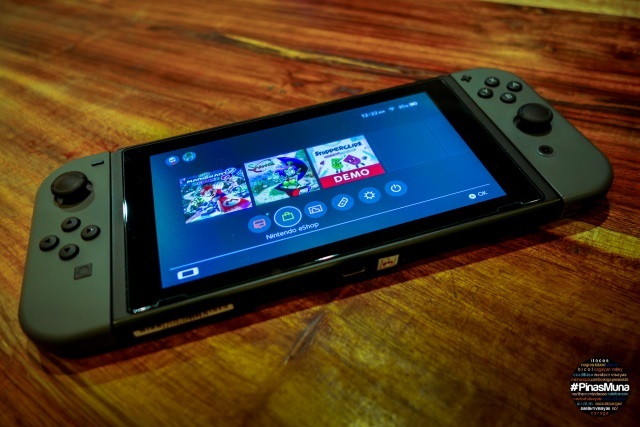 Watch for the update to this article. 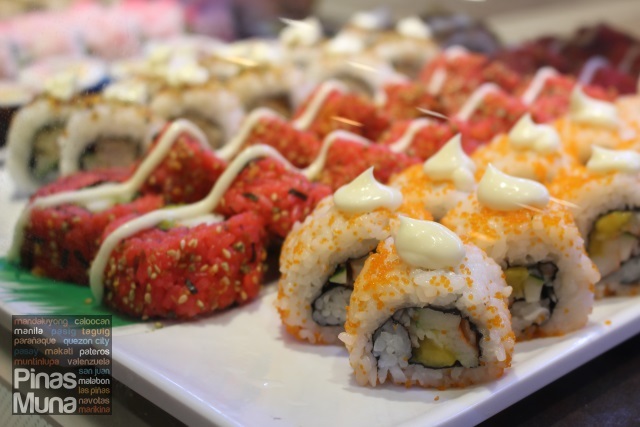 And of course, I also had sushi and tempura on the side to complete my #EatLikeAViking buffet experience. 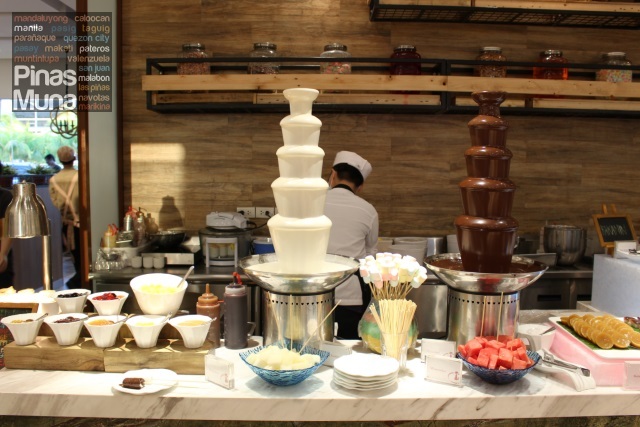 The restaurant maybe centered to the hotpot offerings, but there's really a lot more to Four Seasons than just the hotpot. There is certainly something for everyone. 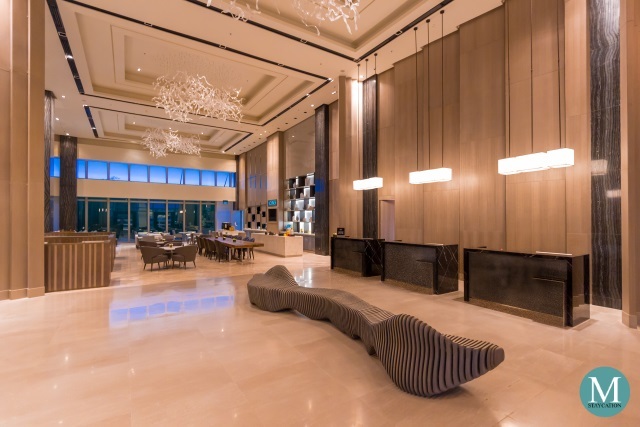 Just like in any Vikings Group restaurant, every visit is a unique experience, and here at Four Seasons, it's an experience that won't punch a hole to your pocket. 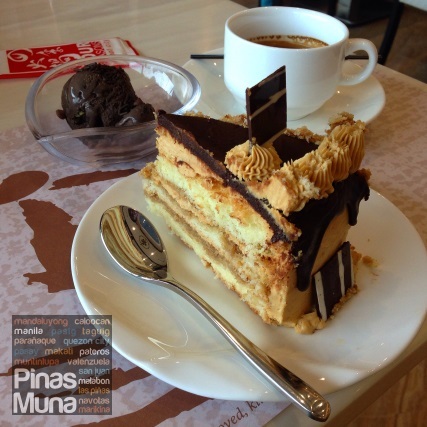 At P588.00 to P788.00 (plus 5% service charge), you really get great value for your money. 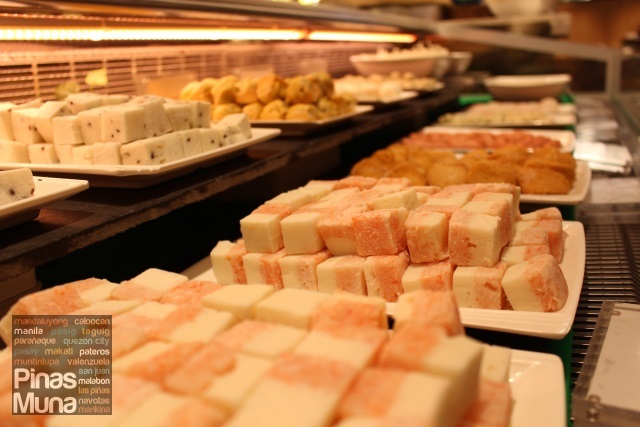 It is no wonder that Four Seasons Hotpot City became an instant hit to families and barkadas. 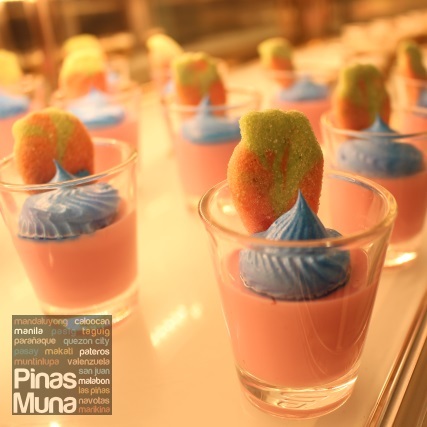 We also noticed the significant number of their Filipino-Chinese patrons which shows that the quality of food at Four Seasons can compete with its more traditional counterparts. 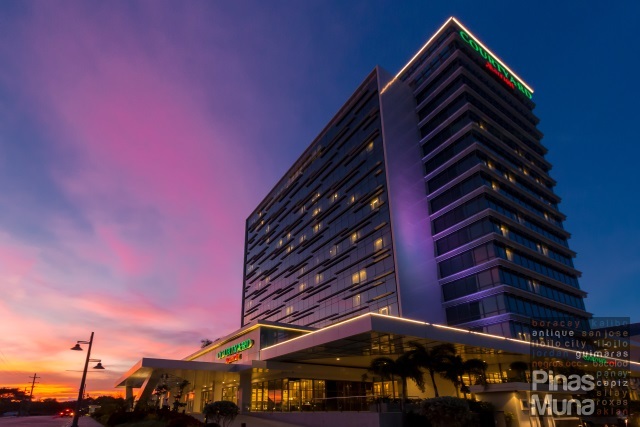 We certainly can't wait for the opening of the Araneta Center branch which will cater to Metro Manilans from the north and east (that includes me). 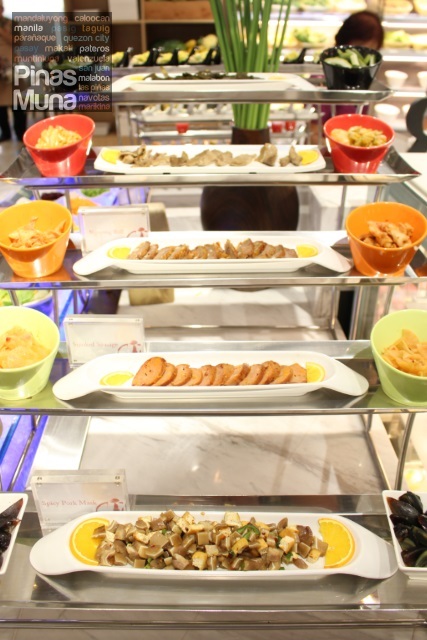 The Appetizers Section gives this hotpot buffet restaurant a distinct Vikings Group character by offering various salads and dressings, breads, cold cuts and other cold dishes. 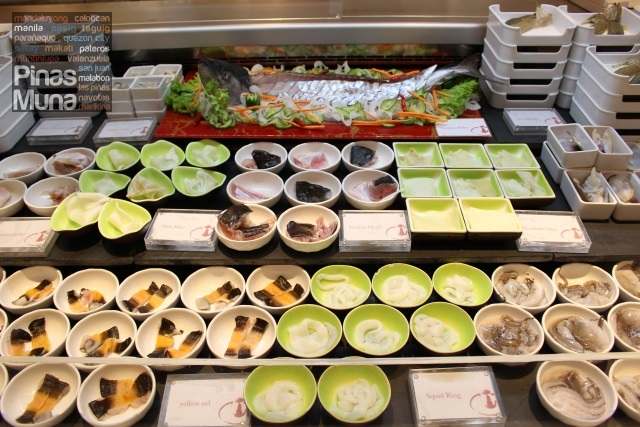 Located next to the Appetizer Section is the Japanese Section which is mandatory to any Vikings Group buffet restaurant. 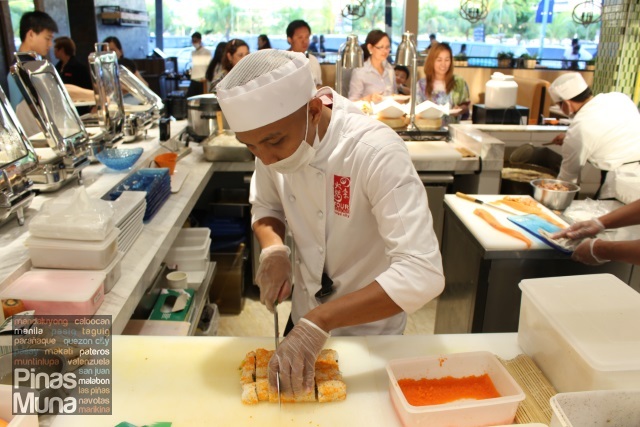 There is a sizable assortment of sashimi, sushi and maki, all freshly made at the restaurant. 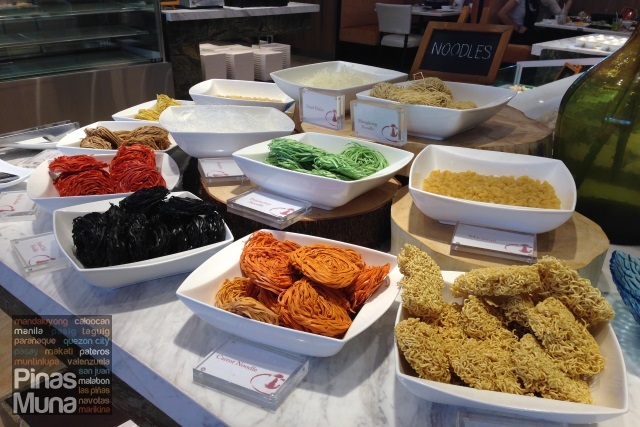 There's also various types of tempura. 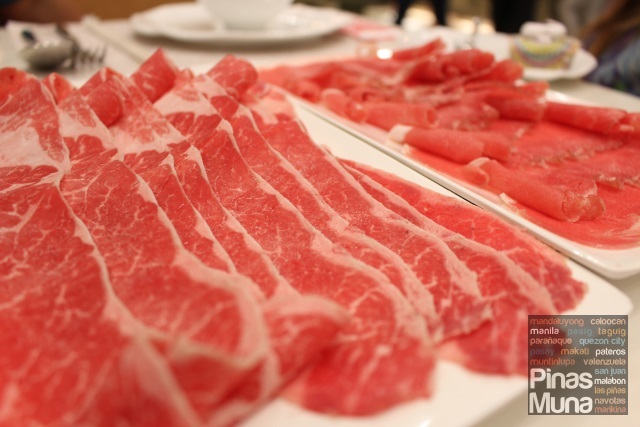 The Meat Section is where you get pre-cut pork, chicken and beef meat for your hot pot. 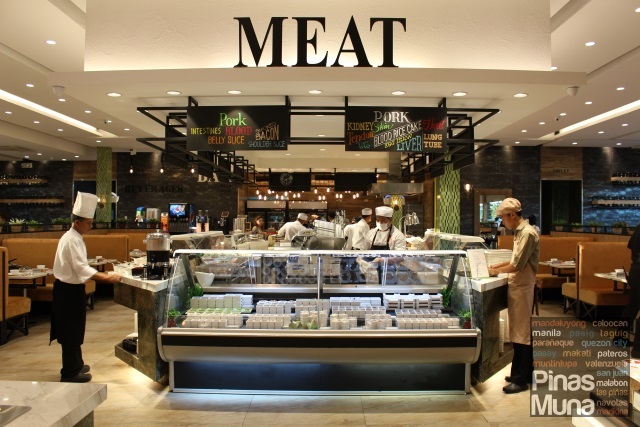 It is designed to look like a section in the super market where one "shops" for meat. In addition, you can also find pork and chicken innards in this section. 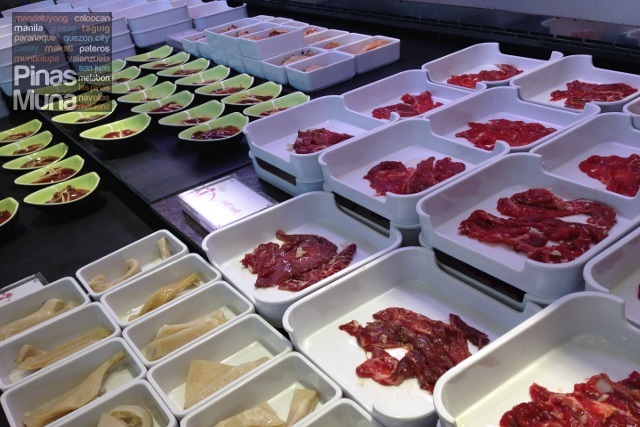 On the more premium side, beef, lamb and pork are freshly sliced upon request. 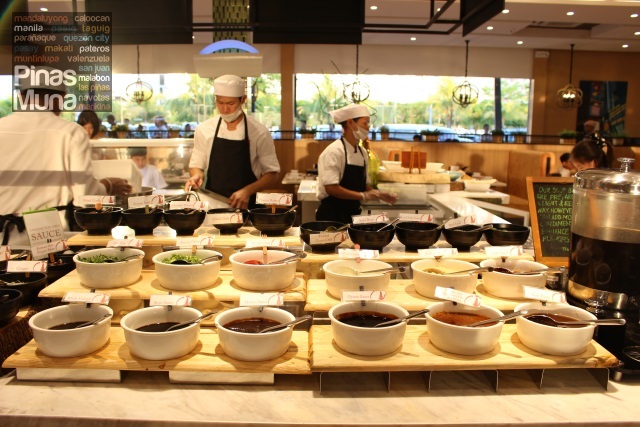 Hot dishes can also be found on this section, as well as the different sauces and condiments. 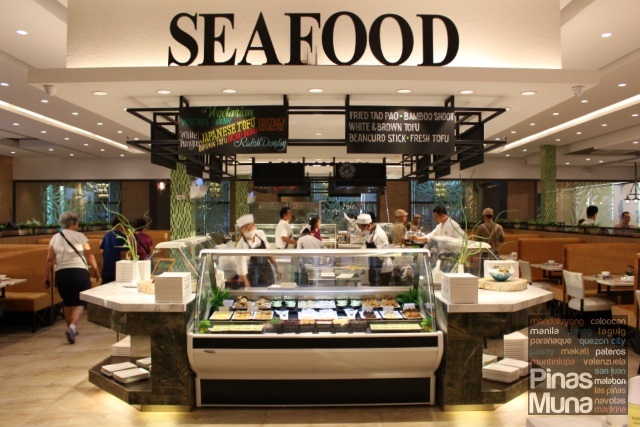 The Seafood Section offers a variety of fish, shellfish and crustaceans, for your hotpot. 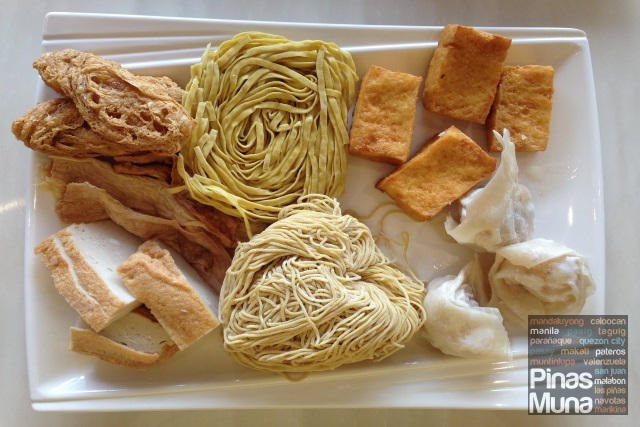 Other items on this section include a wide assortment of tofu, dumplings, fishcakes and noodles. 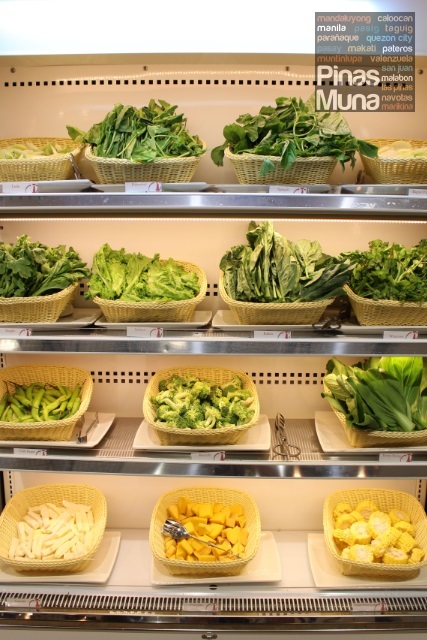 The Vegetable Section is where you get the freshest leafy veggies plus a variety of mushrooms, beans, corn and root crops. 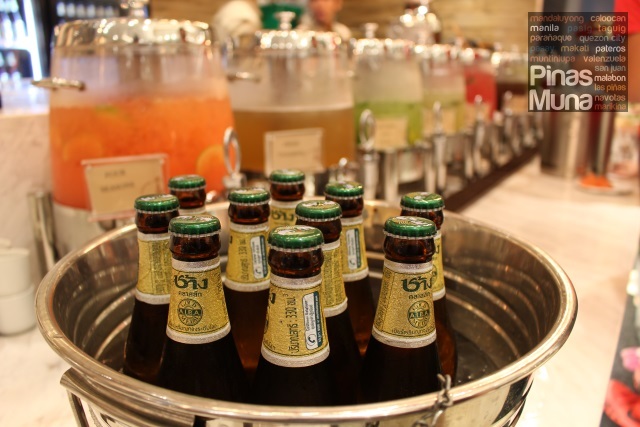 The Beverages Section offers a selection of soda, iced tea, chilled fruit juices, freshly brewed coffee and espresso-based drinks, as well Chang beer which is imported from Thailand. 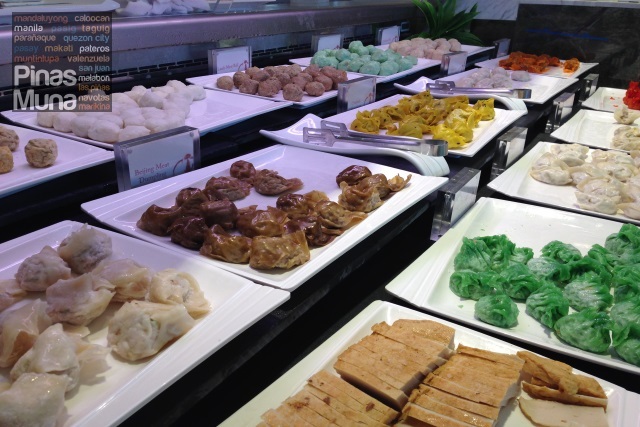 Finally, to complete your Four Seasons Hotpot City experience, you shouldn't skip the Dessert Section. 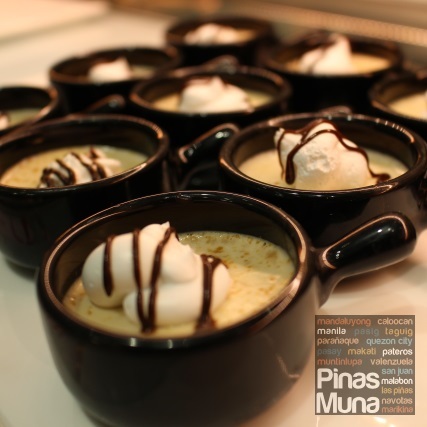 There's ice cream, crepe, chocolate fondue, Filipino kakanin, halo-halo, fresh fruits, as well cakes and tarts.